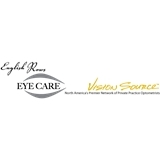 English Rows Eye Care (Naperville) - Book Appointment Online! Dr Smith is amazing! He was so patient and made the appointment fun for my 5 year old. He took the time to explain things to me in terms easy to understand. Dr. Bjorseth is the best. Highly recommend her.